By clicking on the reviewer’s name you will be directed to a reviewer’s position statement that explains his/her method for reading and reviewing TLL. Megan Adams is a second-year PhD student. Her research interests involve exploring literate practices in rural communities. Nick Baca is a second-year PhD student. His scholarly interests involve queer theory in composition and rhetoric and issues concerning gender and identity. Kerry Fial is a senior studying Middle Childhood Education. An advocate for adolescent literacy, she presented at the National Convention for Teachers of English in 2012. Her teaching and researching interests center on appreciating student diversity and sparking student interest in learning about the English language. Mariana Grohowski is a second-year PhD student. Her research examines the cultural ideologies and literate activities of servicewomen of the U.S. Armed Forces. Ken Hayes is a second-year PhD student. His current research interests focus on the understanding and use of social networking sites and the impact such sites have on academic writing and critical thinking skills. Lee Nikoson is an associate professor and member of the Rhetoric and Writing faculty. Her curiosity about how we come to know, practice, and study writing drive her research and teaching. Craig Olsen is a second-year PhD student. Currently, he is researching multimodal and visual rhetoric, which includes digital, comic and gaming literacy. TLL concludes with Hawisher, Selfe, and Berry, in collaboration with Synne Skjulstad, synthesizing chapter findings of this fascinating life-history interview project. The chapter begins by showcasing the digital literacy projects of co-author Synne Skjulstad of Oslo, Norway. This attention to Skjulstad’s scholarship is important to the larger effort of the project because, as Hawisher, Selfe, and Berry admit: Skjulstad’s work “was an inspiration” for the methodology deployed for TLL (“Overview” para. 3). This section offers eight observations which connect the individual literacy narratives featured in the project. Three examples of observations: (1) Participants’ perceptions about technologies depended upon “the cultural ecologies” participants inhabited (Observation. 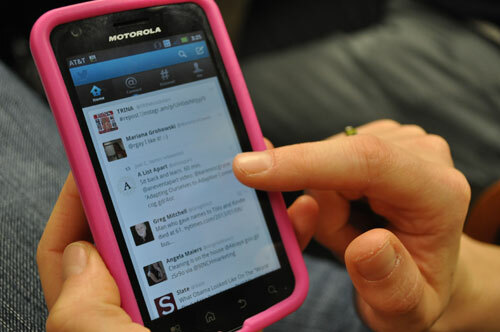 4); (2) Participants revealed that technological literacies were primarily individually acquired (Observation. 5); and (3) Digital media aided tremendously in the various stages of writing studies research (Observation. 8). The fifth and final section of the conclusion offers “Closing Thoughts on Research Methodology,” which reflects on “Local and global ecologies,” “Transnational contexts,” “Literacy narratives,” and “Digital media” as four “assumptions and practices that continue to inform this ongoing research,” (para. 3). The metaphor of ecology acknowledges the many factors which contribute to one’s literacy practices while also yielding the awareness of oneself as a citizen of the world. This idea is complemented by the concept of transnationalism, which identifies the various cultural contexts and identities shaping one’s literacy practices. Literacy narratives as a genre help composers “formulate a sense of self”–a powerful implication for both composers and readers (para. 12). Lastly, the area of digital media intensifies literacy, learning, and meaning-making as digital media affords more than print-based documents–providing a richer experience for the composer and reader (as demonstrated by the contributions of this project). All four areas present rich implications for teacher-scholars, though as the target demographic, we would like to hear about the authors and the influences of transnationalism on their learning. This concept has important implications for learners, teachers, and researchers to address what transnationalism means for the way we go about researching and teaching writing. TLL illustrates the need for writing scholars to further our understanding of the “trans-” in digital literacy practices across various physical, material, political, and socio-cultural geographies. 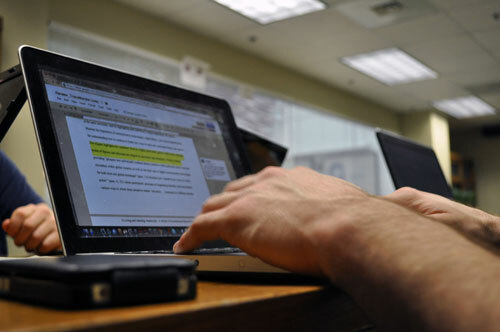 Examining these and other like concepts allow teachers, students, and researchers provide moments of understand all that more fluid use of technological literacies might mean for writing research and pedagogy. Fleckenstein, Kristie S. (2010). Vision, rhetoric, and social action in the composition classroom. Carbondale: Southern Illinois UP. Kress, Gunther, & Theo Van Leeuwen. (2001). Multimodal discourse: The modes and media of contemporary discourse. London: Hodden Arnold. 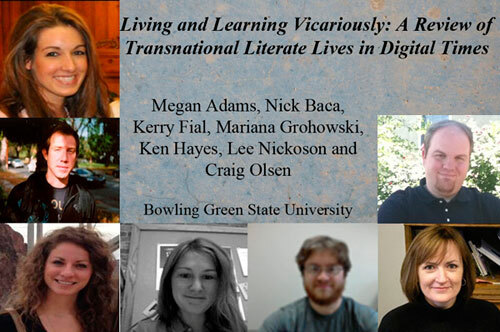 “Digital Literacies, Technological Diffusion, and Globalization,” the first of five body chapters, introduces the thirteen coauthors whose life experiences are the focus of TLL. Representing eleven countries of origin, the coauthors share their experiences through narratives and photographs, creating what Berry, Hawisher, and Selfe describe as a cultural ecology of transnational life experience: “the historical, political, economic, technological milieu” of twenty-, thirty- and early forty-year-olds’ worlds (“Introduction: Overview of Chapters” para. 2). This first chapter provides broad background information about global developments in education, the “lifeworlds” of the coauthors, and trends in communicative technology. The chapter is divided into three easily navigable sections: “The Lifeworld of Students”; “Globalization and Technology Diffusion”; and “Global Ecologies and the Modern Internet.” In the first section, the authors point out the importance of looking beyond the context of the classroom to study the literate activities of students that often inform pedagogy. The statistical evidence in the second section helps illustrate the trends in communication and digital practices as they relate to the life experiences of the coauthors. The third section helps readers understand the historical, political, and economic factors that led to global revolutions in communicative technologies. This understanding nicely situates the ways in which readers view the conversations about the literate activities of the coauthors that are chronicled later in TLL. Chapter two, “Digital Media and Transnational Connections,” documents the personal narratives and reflections of four participants enrolled at the University of South Wales: Gorjana Kisa and Mirza Nurkic, both from Sarajevo, and Australians Tessa Kennedy and Kate Polgaze. The coauthors share their personal histories with digital literacy, communicative technologies, and how globalization has affected their relationships with others through a rich blend of alphabetic text and participant-produced video clips; each coauthor offers rich insights into the ways such digital technologies have shaped their transnational perspectives. In exhibiting the narrations of four distinct individuals enrolled at the same university, and by highlighting each individual’s unique experiences, the authors illustrate the importance of communicative technologies, digital literacy, and cultural identifications for understanding how to continually foster new ways to teach and understand literacy and agency. The chapter highlights the coauthors’ lives in a highly networked, global world where emergent modes of literacy and discourse are shaped by movement and interaction between cultures. Readers are provided “glimpses into individuals’ localized literacy practices within particular cultures and their circulation within global contexts, as well as into their uses of digital communication technologies for both local and global exchanges” (“Narrative as a Way of Knowing” para. 1) to illustrate how “narratives are a form of ‘social action’” (para. 4). TLL traces participants’ processes of negotiating identities, and demonstrates various ways in which these narratives enable “educators … immersed in a different domestic lifeworld … [to] glimpse the identities and futures these students want for themselves” (para. 6). The third chapter, “Cultural Designs for Writing Digitally,” turns attention to the ways in which digital tools–namely video composing–can help educators understand more about cross-cultural literacy practices. To uncover and make sense of these practices, co-authors were tasked with creating a multimodal composition aimed at documenting their own writing practices. Upon crafting these pieces, participants reflected on the insights those practices reveal: this act fostered an understanding of their individual writing practices. The three chapter coauthors, Shafinaz Ahmed, Sophie Dewayani, and Yu-Kyung Kang, hail from Bangladesh, Indonesia, and South Korea, respectively. As readers explore the coauthors’ video compositions, they gain glimpses into the ways the writers engage with digital tools that connect their literate activities to the places in which they read and write. The video compositions include representations of each co-author’s writing processes, illuminating how objects and cultural contexts can influence these practices. Each co-author helps readers understand the ways in which composing practices are often nuanced and personal; furthermore, the compositions reveal that literacy acquisition and practice are also situated within cultural ecologies. Conversations beyond these descriptions center on how digital compositions can also inform us about the dispersed, networked character of reading and writing in a digital age. 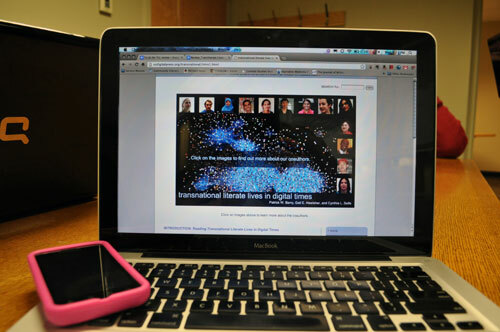 Moreover, the authors argue that digital compositions can be used not only for reflection and a representation of literate activity, but also for research. The authors also provide teachers and researchers ways multimodal compositions could be incorporated into their own work. Despite the rich descriptions provided by the authors and their video representations about their processes, readers may still raise logistical questions about the practical applications of digital compositions. For instance, details on how these types of assignments might be specifically replicated for pedagogy and research integration are sparse. More information on the actual process of implementing the assignment, as well as the context in which it was executed would be beneficial. Nevertheless, access to video evidence and reflection pieces give insight into possibilities for implementing such assignments. Chapter four, “Acts of Translation in the Academy and Across National Borders,” provides brief snapshots into three participants’ transnational literacy histories and experiences in higher education, three detailed autobiographical, multimodal accounts of how transnational learners integrate their native language, the English language, and technology to communicate. Masters students at the University of Illinois at Urbana-Champaign, the participant’s experiences demonstrate the challenges of the negotiation of language, identity, and culture as they cross national boundaries to pursue professional and personal goals in higher education. Vanessa Rouillon, who was born in Peru and studied in Chile before moving to the United States, reveals in her video composition the way it feels to use technology for both her academic and personal writing, the former of which she produces in English and the latter in Spanish. Similar to Vanessa, Mexican-born Ismael Gonzalez studies English as a International Language. Readers learn of Ismael’s steadfast reliance on Facebook as a multimodal outlet and as an advantageous tool for code-meshing. Similarly, he uses Facebook to negotiate his personal identity as a transnational citizen as well as a scholarly professional. Like Ismael and Vanessa, Hannah Kyung Lee is fluent in multiple languages. Hannah, a Korean-American who began a graduate program in writing studies and library and information science after teaching in Paris claims a “transnational identity” (para. 1). Moreover, the cultural ecologies Hannah was immersed in allowed her opportunities to use technology to negotiate her transnational identity and communicate across geographic boundaries. The final body chapter, “Global Digital Divide: From Nigeria and the People’s Republic of China,” is split into three sections. The first two sections review literacy narratives from Nigerian-born Oladipupo “Dipo” Lashore and Chinese-born Pengfei Song, respectively; and focus on how each of the coauthors are able to excel in parts of the world where scholarly excellence is not typical because of a lack of digital education and access. The chapter concludes with, “What These Literacy Narratives Suggest,” and discusses the exceptional nature of the two coauthors’ literacy narratives and the dangers in seeing these examples as typical. Though each of the literacy narratives offers stories that show the importance of providing similar opportunities to others, because the examples are two clear success stories, the narratives could create a false sense that similar successes are easily attainable, and that issues of opportunity and access are generally not problematic. The authors address the problematics of making any such claim, stating their aim “is not to underestimate the seriousness of the digital divide or to suggest that hard work and determination alone can help individuals and their families close this gap. They cannot” (“What These Literacy Narratives Suggest,” para. 1). Readers who focus solely on the narrative sections and ignore the chapter’s important final synthesis could risk making premature generalizations from the two narratives. As noted, Transnational Literate Lives is published in a Web text format, which allows viewers to interact in visual and aural ways, as they read the traditional, alphabetic text. Each section is organized thoughtfully, with columns on the left-hand side that allow viewers to easily skip ahead or return to portions of the text as they see fit. Additionally, the layout is neat and orderly, providing viewers who may not be as familiar reading Web texts with an easily navigable text to maneuver. The multimodal components vary from one section to the next, each meeting a specific need in a particular chapter, and allowing the viewer to engage with the text in richer ways. These visual and aural elements are clearly labeled, easy to access, and allow for a more engaging experience overall. Focusing on the importance vision plays in rhetoric and social action, Kristi Fleckenstein has stated that the consumption of language distributed using a variety of modes, allows us to “engage with texts differently” fostering a “more intense engagement” with a composition (155). This is the case for the reader of Transnational Literate Lives. The video and aural elements allow viewers a multifaceted experience, in which they can see things like facial expression, body language, inflection and tone of voice. These elements, as the authors explain, help to provide new, more nuanced ways of making meaning. In addition, most of these visual and aural video narratives are accompanied by written transcriptions and captions. This important addition provides a greater range of user accessibility. Furthermore, the various modes utilized in TLL are completely accessible on a smartphone.